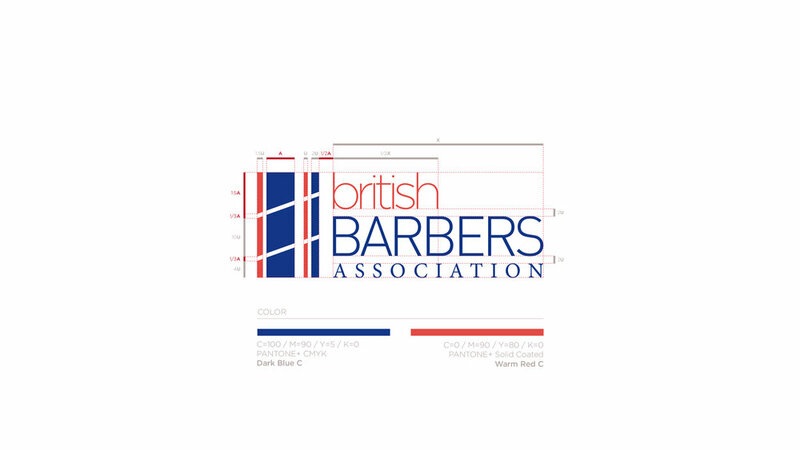 The British Barbers' Association (BBA) is the leading association for the barbering industry in the UK. Preserving the traditions of the classic barber, they’ve made sure that the old school tradition and art of barbering has remained alive and well. 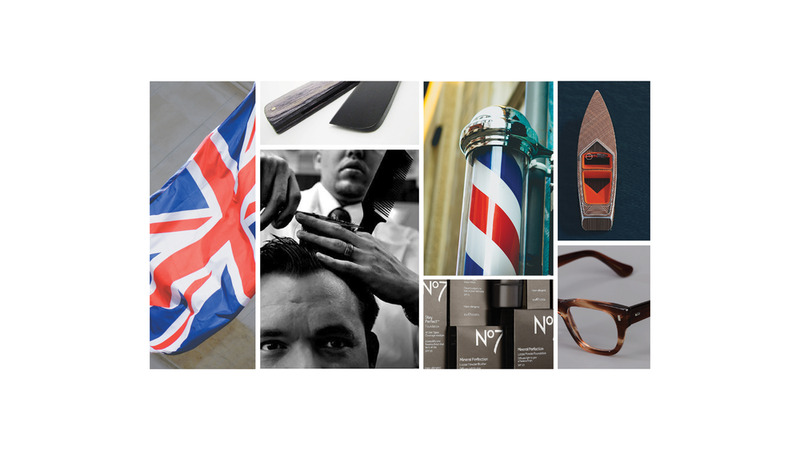 The British Barbers’ Association is committed to raising professional standards, highlighting and celebrating talent and facilitating the professional and commercial development of barbers, male grooming salons and men’s hairdressers. Until the BBA launched in October 2010, there was no trade association dedicated exclusively to the barbering sector of the hairdressing industry. To establish their leadership, BBA decided to revamp their brand signature under a new visual identity which would aim to empower professionalism and expertise. The grooming and men's care industry is truly resourceful when it comes to visual ecosystems. There is a wide variety of inspiration, coming from various strategic brand positioning within the saturated market. And yet, through their brands, the men's grooming industry can easily: highlight the quality of the products (Lab Series, Clinic, Nivea), play on bearded personalities (Jack Black or Roosevelt Grooming Co.), feature male attitudes (Bull Dog, the Blue Beard Revenge),or even highlight skin qualities (Rock Face, The Grizzly). We can see competitive brands are playing upon an overused gold mine, using the same product, but visually translating the codes under 3 different interpretations: "Old School & Vintage" for know-how and tradition; "Minimal & Clean" for lifestyle and care; "Modern & Scientific" for expertise and technology. From the research, we understood all these brands were basically sharing the same piece of cake, tweaking the seasoning to make it feel 'unique' or at least seemingly new. But with such a name, we agreed that British Barbers' Association had to stand for something different, yet barely used in this industry: its origin. As much as for its products, we decided to empower "sharpness" as an uniquely British asset of the brand, as a token of an attitude the brand would convey to its customers – 'Looking Sharp' meant having elegance and class in the British English vocabulary. Realising the impact this value would have on the creative translation of the brand, I eventually decided to create a strongly British and institutional looking brand, with codes of sharpness, professionalism and expertise, and yet still preserving some inspiration from the previous identity. Brand dedicated to the brand and school program, including contests and competitions. Brand dedicated to the range of brand products and retail experience.